To be sustainable into the future, the Beacon ultimately needs the support of a substantial number of the 1,100 households in Andover. Last year we received donations from fewer than 320 households, down significantly from the year before. We need to reverse that trend and get closer to 350 households (still fewer than one in three Andover households!) supporting the Beacon with an annual donation. Why isn’t the “Get A Round Tuit” campaign working? After 11 years, people may be a little tired of it. It really can only get people to put “Donate to the Beacon” on their to-do list, where it has to compete with dozens of other to-do items, many or all of which may seem more important and/or more urgent than writing a check to the Beacon. Why should the new “It’s Up to All of Us” campaign work any better? Because the new campaign is based on direct, personal contact, it puts donating to the Beacon on a much different footing than the other items on the potential donor’s personal to-do list. In many cases, the direct, personal contact will inspire them to make the donation on the spot. In other cases, the extra “oomph” of that direct, personal contact (and the desire to avoid the embarrassment of having to be asked again) will make them move it to the top of their to-do list and then actually do it. The Andover Fourth of July Committee has used a direct-contact campaign like this one for many years and with great success. Will the “Get A Round Tuit” campaign finally go away? Probably not. We think the two campaigns will work together well every year. The Round Tuit envelope (February) will push for donations early in the year; the All of Us direct contact campaign in the fall will “reel in” all the folks who meant to “get a round tuit” earlier in the year, but never quite managed to. So the two campaigns are more complementary than redundant. Round Tuit stimulates the organized folks to donate early so no one will come looking for them in the fall; All of Us corrals the less-organized folks who function best when they get direct, personal attention. As a canvasser, who should I approach? We’re approaching this in an organized but flexible way, and in a way that will be easy for canvassers and easy on the community. 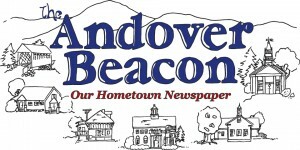 In the first week of October, each canvasser will have the chance to pick names of their Andover friends and neighbors from a long list of Andover households who have not donated to the Beacon yet this year. You pick the names that go on your list! We are not asking you to approach strangers! We’re hoping that each canvasser will end up with a list of about 20 of their Andover friends and neighbors, but the number of names you pick is entirely up to you! Once you’ve picked the names you want on your list, you are free to approach them in the time and the manner of your own choosing. We ask, however, that you don’t approach anyone who’s not on your list – they may be on someone else’s list, or they may have already donated to the Beacon this year. That’s entirely up to you, and your approach can certainly vary from person to person on your list. On the Canvasser Materials page, you’ll find a sample e-mail that you can easily use in a personalized e-mail; in a letter; as a telephone “script”; or even as talking points if you run into one of “your” people at the Transfer Station or knock on their door. What if they have questions? On the Canvasser Materials page, the Donors’ FAQ is written specifically for potential donors. The sample e-mail includes a link to the Donors’ FAQ for their convenience. What if they ask me how much is a “reasonable” donation? Whatever they choose to give is fine. We’re not asking for a specific amount from local households (except that for a gift or seasonal subscription to be mailed to an out-of-town address, we ask for a minimum donation of $30). Historically, the average donation from an Andover household has been about $40. In our planning and thinking about sustainability for the Beacon, we’ve used that average figure. We know that not everyone can donate that much, while others can, and will, donate that much or more. So whatever amount they feel comfortable with is fine. No matter what level of donation makes sense for the donor, every dollar is greatly appreciated! What if they want to donate cash? That’s fine. Take their cash and fill out the appropriate parts of the Take-Away form. What if they want to donate by check? That’s fine. Take their check and fill out the appropriate parts of the Take-Away form. What if they want to donate by credit or debit card? If they have a smartphone or a computer, they can visit AndoverBeacon.com, click on the Donate button, and make their donation right in front of you. The transaction will automatically appear in the Beacon’s computer. If they say they’ll do it “soon” and they’re willing to give you an amount, then treat it as a pledge. If they can’t give you an amount, tell them you’ll let the office know that they’ll be donating, and ask them on what date we (the office) should send them a reminder if we haven’t received their donation. What if they say they’ll donate, but not right now? If they’re willing to give you an amount, then treat it as a pledge. If they can’t give you an amount, tell them you’ll let the office know that they’ll be donating, and ask them on what date we (the office) should send them a reminder if we haven’t received it. What if the donor wants to buy a gift subscription for an out-of-town friend or relative? We’ll need a minimum donation of $30. Get the donor’s mailing address and the gift recipient’s full mailing address. What if the donor wants a seasonal subscription? Get both of their addresses. Find out what months they’re at which address (keeping in mind that the Beacon is mailed within a few days of the first of each month). What if the donor has a question or problem about an earlier donation or subscription? They should contact Charlie at Charlie@nullAndoverBeacon.com or 735-6099, and he’ll straighten it out. What if the donor wants an advertisement in the Beacon instead of or in addition to a donation? That’s fine! They should contact Charlie at Ads@nullAndoverBeacon.com or 735-6099, and he’ll help them place their ad. You’re done! Your job is just to get them to make a decision about whether or not they’ll donate this year, not to persuade them to donate. What if I want to try to persuade them? Frankly, you’ll be most persuasive if you just tell them honestly why you support the Beacon. But for what it’s worth, here are some of the reasons why we think people should support the Beacon. As a 501(c)(3) non-profit, the Beacon’s sole reason to exist is to serve the Andover community. Every dollar we raise goes directly to that cause. The monthly Beacon newspaper provides a valuable service to the community that no other organization provides. The Beacon’s Web site at AndoverBeacon.com likewise provides a valuable service to the community that no other organization provides. through news and information about our town government, boards, committees, etc. The Beacon provides a widely-read, widely-available source of information about community organizations and their programs and events, making their work in the community that much more efficient and effective. The community’s support allows us to deliver the newspaper and the Web site at no charge, making the Beacon much more valuable to the community than if it were only available to paid subscribers. Many people in the community feel strongly that if we didn’t have the Beacon, the loss would be significant. For the Beacon to continue over the long term, the support of a substantial portion of Andover’s 1,100 households is essential. No one’s being asked to give more than they can afford in support of the Beacon – rather, the Beacon relies on “everyone” doing what they can. For a rather more fun look at why people should support the Beacon, don’t miss this. Do I have to finish by October 31? No. But it would be very helpful to us if you did at some point finish your list and report back on each person on your list. Loose ends tend to drive Charlie nuts (and unfortunately, “nuts” is just a short putt away for Charlie these days). One of the most important parts of this year’s campaign will be collecting feedback from our canvassers on what did and didn’t work. That feedback is your chance to help us fix problems, build on successes, and plan a smoother, quicker, easier, and more effective campaign for next fall. You can fill out a critique form here. So be sure to make notes about everything that works and doesn’t work as you go along — your feedback at the end is vital in making this campaign ever more successful every year. If there’s anything else you need or if you have a problem or question, call Charlie at 735-6099 or e-mail him at Charlie@nullAndoverBeacon.com.